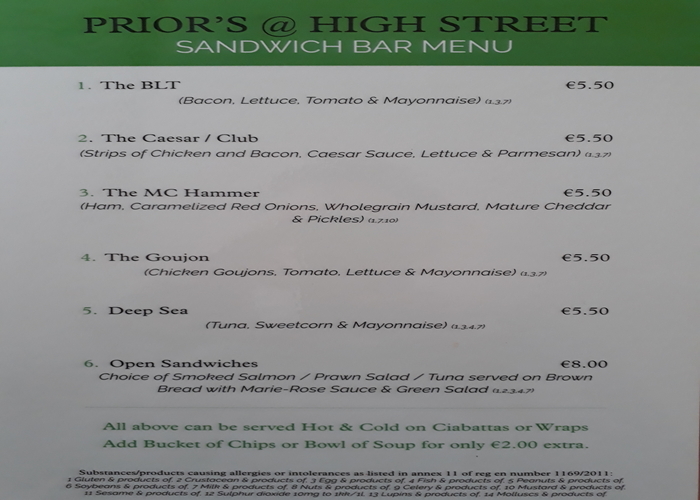 Prior’s is the town’s Sports Bar where old and young congregate to re-live old sporting glories and find their photographs in the extensive Hallway of Fame. 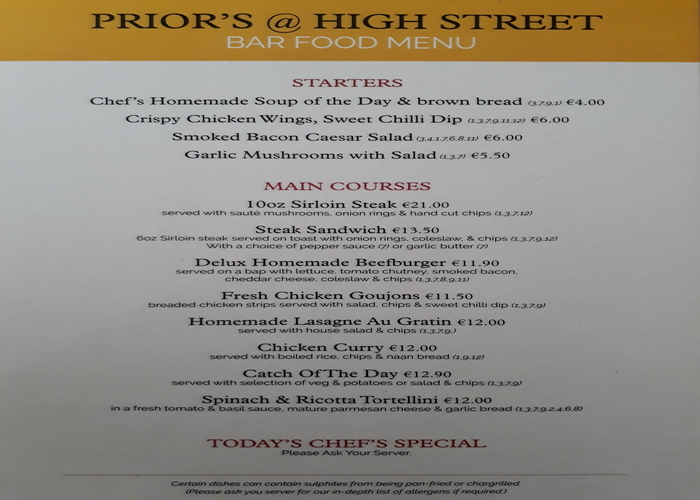 Prior’s is a family pub, where families are welcome whether to sample our tantalising menus, a refreshing mineral drink, a relaxing cup of fresh-brewed Illy coffee, an exotic cocktail or the best pint in Ceannabo. 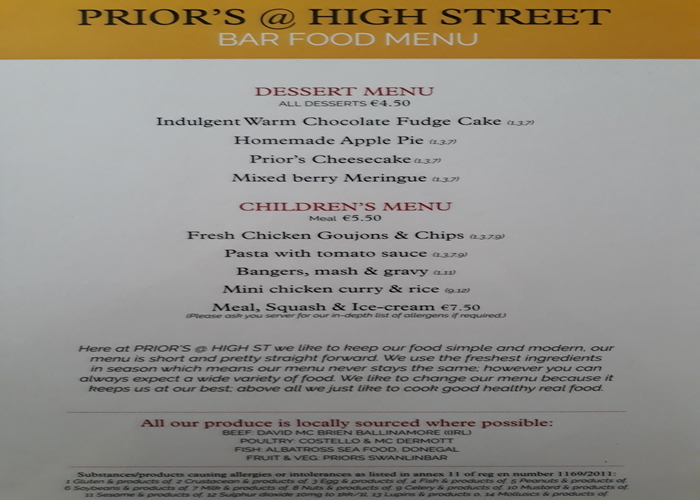 Priors is an ideal location for a variety of functions /parties. The back bar can be closed off for private parties from family birthdays to committee meetings. They have facilitated many large functions like fundraising nights for charity or local clubs with quiz nights and race nights. 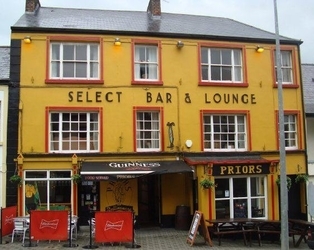 Prior’s was short listed by Licensing World, the leading trade magazine, as one of the three Best Sports Bar in Ireland in 2006 and the Best Local Bar in 2007.